Dego Ride is a safe and fast motorcycle ride sharing service in Malaysia. its as easy as 1, 2, 3! You agree to our Terms of Service by using Dego Ride. Availability is dependent on Available Capacity of the moment. Safest and fastest way to move! Share your real-time location with Ride Tracker. Safety features built in available to Customers. Bring your own helmet or use the helmet provided. Here’s a list of common questions answered just for you. You make your Dego Ride payments in cash directly to our Dego Riders, so please make sure you have ready change for an easy transaction. Currently we only accept cash payments for Dego Ride. Do I need an App to use Dego Ride? 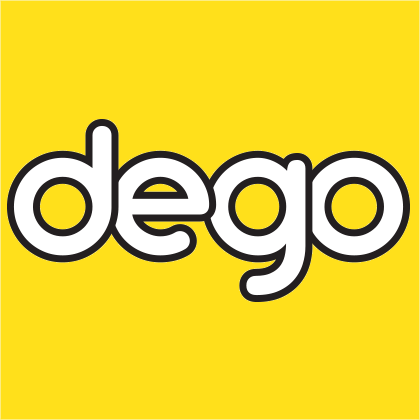 No downloads required, you won’t need to download any apps to use the Dego Ride service. When is Dego Ride available? The Dego Ride service is provided to you Monday to Sundays 24/7. Yes of course you can! Also take note our Dego Rider is to provide you with a clean helmet and new hair net for every trip request made. What are the main features of Dego Ride? Ride Tracker for real-time location sharing and tracking of your trip, Estimated Time of Arrival of your Dego Rider and your trip and Dego Rider ratings to allow you to rate your experience. And of course, our vetted and trained Dego Riders from amongst the On-demand Klang Valley Partners to provide you a safe journey. We currently provide our Dego Ride service across the Greater Klang Valley (covering all major Towns in Selangor and Kuala Lumpur) and are rapidly expanding to other high potential areas near you in Malaysia! Please check Our Coverage to see if you’re able to use our Dego Ride services. How do I rate my Dego Rider? At the end of the order, you can give ratings to your drivers. We take customer service very seriously in Dego in order to improve our service everyday, so please rate honestly and accordingly. Feel free to leave comments as well in the comments section. For the safety of our Dego Riders and Customers we currently don’t provide any services during rainy periods. Please remember to equip yourself with a personal raincoat.